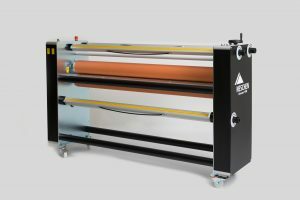 With the NESCHEN EcoLam 1650 NESCHEN expands its laminator portfolio by a low-cost entry-level variant. Since the beginning of 2017 the new laminating machine has been already the fourth model which was produced as in-house development under the brand name NESCHEN. The specialist for coating solutions sells its products worldwide and has reported significant sales growth in this business unit since the start of production of its laminator series “Made by NESCHEN”. 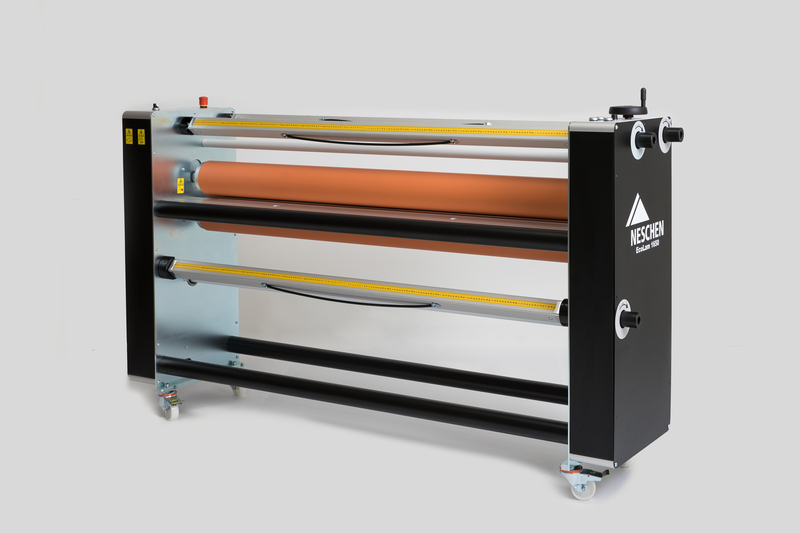 The cold laminator was designed for companies in the advertising technology sector with low throughput of protective laminates and as a start into the world of professional lamination. The NESCHEN EcoLam 1650 offers all the basic technical functions that you are used to from NESCHEN at the lowest purchase costs. The machine allows image processing up to a width of 1650 mm. The manually adjustable roller spacing of max. 40 mm enables the processing of a wide variety of base materials. For easy handling the front panel has an ergonomically designed and user-friendly control panel. The maximum working speed is 4m/min. A manual pressure and speed adjustment guarantees the greatest possible flexibility in processing.